Santorini is one of the most famous destinations where Orthodox Weddings take place since there is a great number of churches scattered throughout its various villages or on the caldera. Most of the churches are simple, whitewashed, adorned with blue domes that perfectly match the blue sky with a backdrop of Santorini’s caldera in the Aegean Sea. It is no wonder that thousands of people from all over the world choose Santorini for their wedding. According to the Greek Orthodox Church, first and foremost, the marriage must be conducted in an Orthodox Church. With interfaith marriages, the non-Orthodox partner must have been baptized in water in the name of the Holy Trinity. A marriage cannot take place in the Orthodox Church between an Orthodox Christian and a non-Christian. The non-Orthodox partner must be a person who belongs to a Christian denomination acceptable to the Orthodox Church. This package is for couples who wish to have a simple Orthodox wedding and live an exceptional experience of Greek traditional wedding. 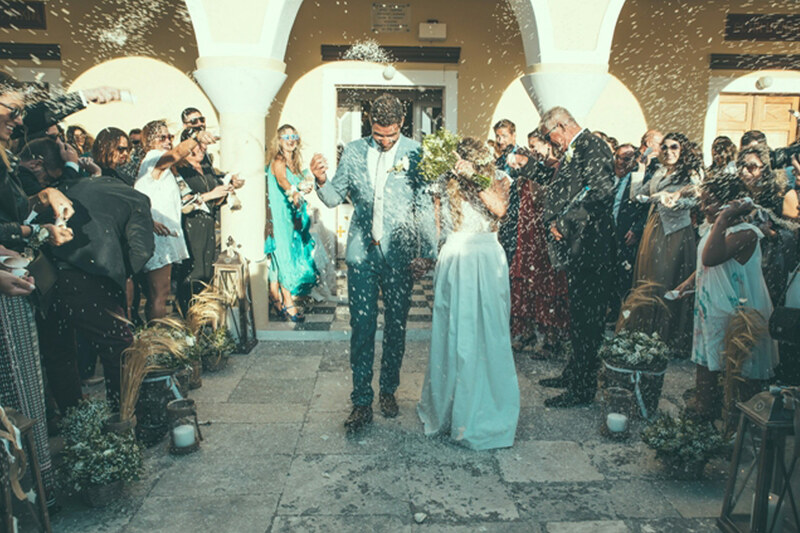 This package offers more services to the couple and 15-30 guests who opt for an Orthodox traditional wedding on the unique island of Santorini.